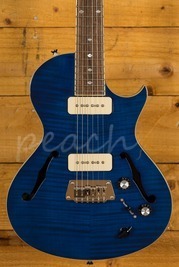 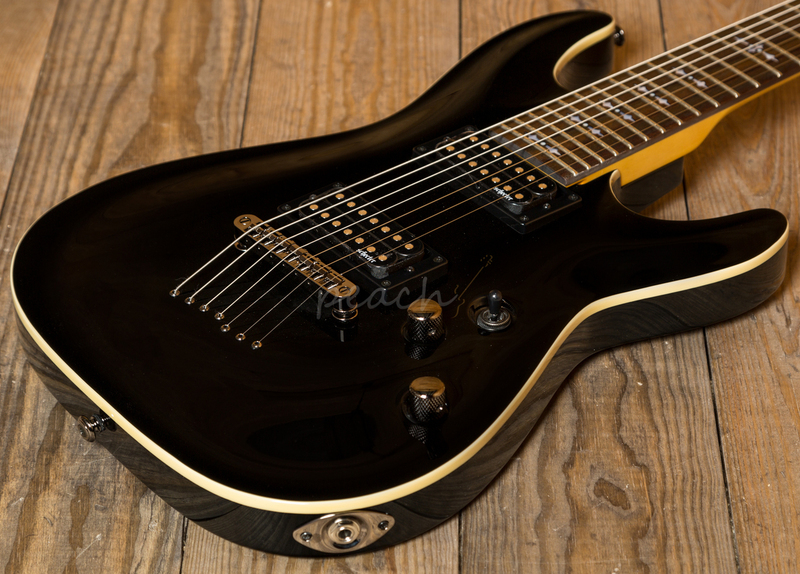 This guitar is one of the best 7 string electrics we've come across for the money. 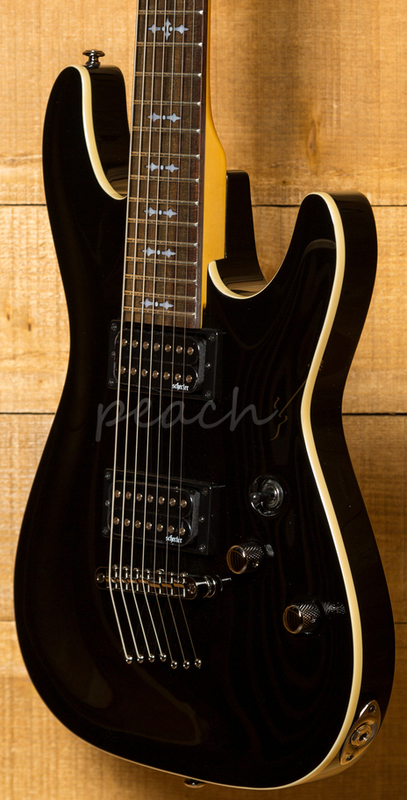 Plays superbly and sounds absolutely monsterous! 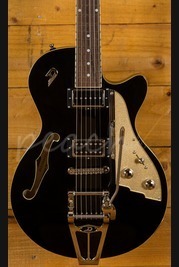 Whether you're interested in hard rock or sultry jazz this is one versatile beast. 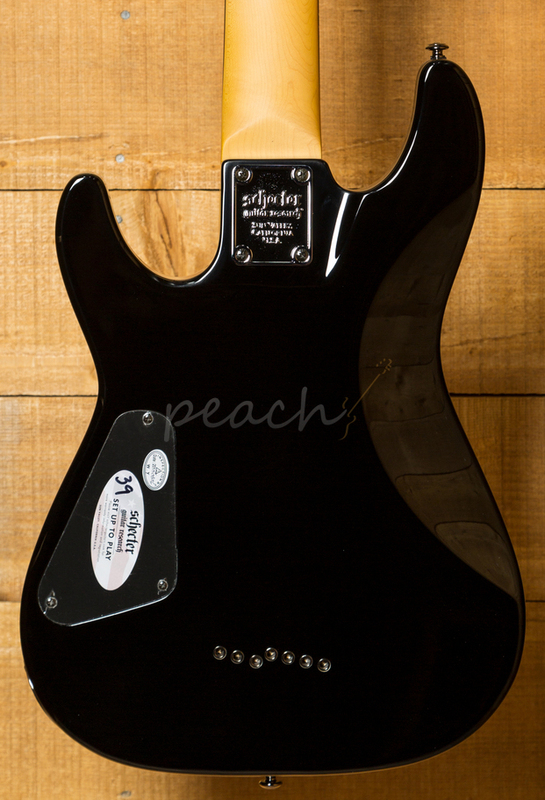 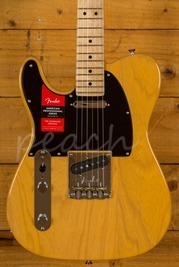 A combination of a carved basswood body meets a bolt on maple neck with a rosewood board. 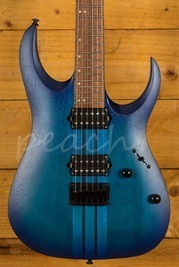 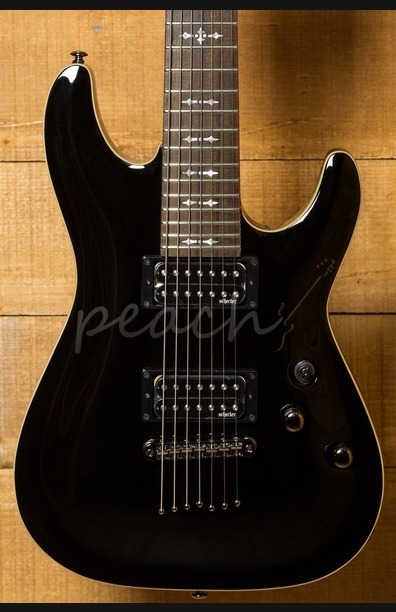 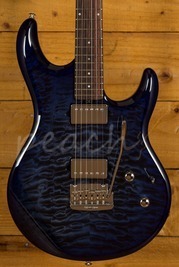 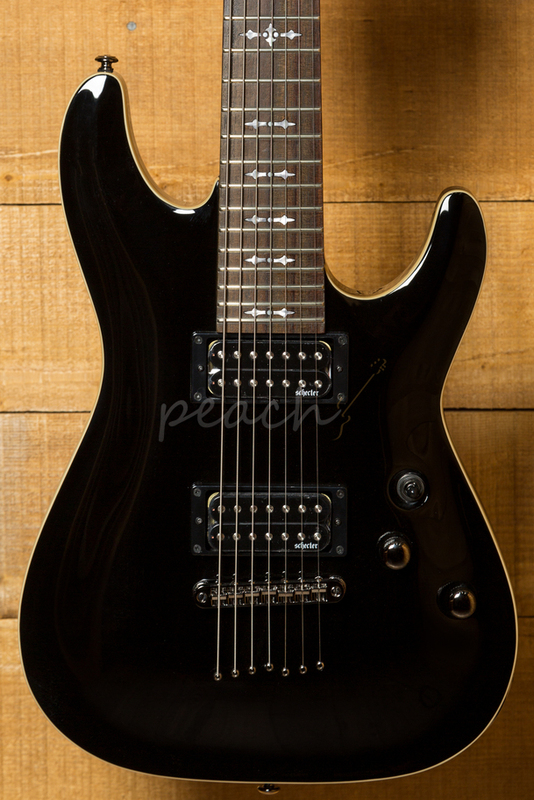 Loaded with 2 Schecter Diamond Plus pick ups for ultimate Schecter tone!